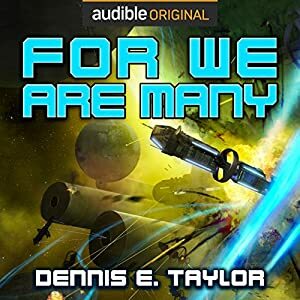 Among the many virtues of Dennis E. Taylor’s sci-fi space opus is this: he masterfully toes the line between hard science and farcical preposterousness, showing you what’s possible in our universe, and then pushing you toward a vision of it that is straight out of a Hawking doomsday scenario. Premise: In 2014, a twenty-something software guru named Bob sells his company for millions, signs up for a “revive my frozen brain in the future” life insurance policy, and then promptly gets hit by a car. When he’s woken up a century later, his brain is in a computer, inside a space probe, sent out to explore the galaxy…and beyond. Without having to worry about pesky things like eating, sleeping, or generally being mortal–and with the ability to make copies of himself as he goes–Bob lives out his childhood fantasy of being a space explorer. Setting: In space most of the time, but also across several planets both real and fictional. Lesson: I don’t think it can be boiled down to one thing, but I will say this: Dennis E. Taylor has written a secular agnostic humanist as his protagonist, and a theocratic religious nutjob entity as his antagonist, and yet the story stays firmly rooted in three dimensions. Bob, who doesn’t believe in concepts like a soul or an afterlife, is forced to confront questions about the meaning of life (and death) as time goes by, and as he finds himself in increasingly complex moral situations. These books could have easily gone the route of certain other sci-fis [that I won’t name here], which never missed a chance to remind you that Secular Die-Hards are AWESOME and religious folks are worthless dumbsh*ts. As a reader I got the impression that the author falls into one camp, and has certain opinions about the other, but the books bravely avoid the route of “selfriture” and instead show the complexity of human existence. My favorite character: Tricky thing, trying to nail one of these down…given that most of the characters are clones of Bob who have renamed themselves. If I were to pick just one of them, I’d say the clone named Milo. Read the books to see why. 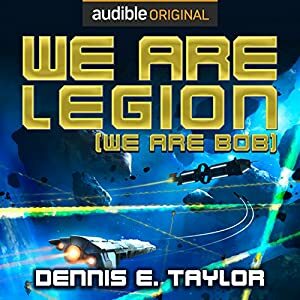 Content warning: Bob (and his clones) are first-person narrators, and generally avoid foul language, though both books have featured at least one F-bomb. I will say this, that if the weight of profanity is lessened through excessive use, Dennis E. Taylor uses profanity rather economically, and only escalates to the upper echelons of the cursing scale when Bob is at peak agitation.